Ruth E. Poss, 95, of Sparta, died Sunday, August 12, 2018 at Rolling Hills Rehabilitation Center, Sparta. She was born April 21, 1923 to Arthur and Elnora (Kroener) Siekert in Bush Prairie, WI. Ruth married Robert Poss in 1945 in Sparta. He preceded her in death in 1991. Together they farmed in Farmers Valley. She was a member of the Farmers Valley Homemakers Club and the Mission Circle in Tomah. Ruth was also a member of both St. John’s Ev. Lutheran Church in Sparta and St. Paul Ev. Lutheran Church in Tomah. Ruth is survived by her daughters, Donna Henkel; and Susan (Glenn) Crawley; four grandchildren, Rob, Bill, Douglas, and Laura; 5 great-grandchildren, Britney, Easton, Clayton, Cody, and Allistair. She is further survived by a sister, Nerine (Fred) Kaase; a sister-in-law, Vera Siekert; and a son-in-law, Jerry Michaelski. 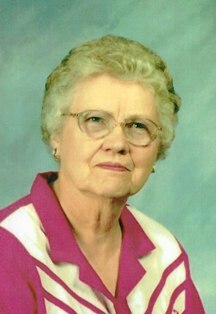 In addition to her husband, Robert and parents, Arthur and Elnora, she was preceded in death by her daughter, Linda Poss; a brother, Harold Siekert; two sisters, Delores (Glen) Kenyon; and Gladys (Raymond) Nauman. A funeral service will be held at 11 a.m. on Wednesday, August 15, at St. John’s Ev. Lutheran Church, Sparta. Interment will follow in the church cemetery. In lieu of flowers memorials can be given to Steppin’ Out in Pink for local breast cancer research, 1900 South Ave., La Crosse, WI 54601. The family wishes to extend a heartfelt thank you to the entire staff at Rolling Hills Rehabilitation Center for the wonderful care and compassion given to Ruth. The Lanham-Schanhofer Funeral Home, Sparta, is assisting the family with funeral arrangements.